Paul Dunne is best of the Irish challengers after day one at Walton Heath as he bids to defend his British Masters title this week at Walton Heath. Dunne, who is coming off a poor run of form is looking to rediscover some early season form and there’s no better incentive than trying to defend a title! 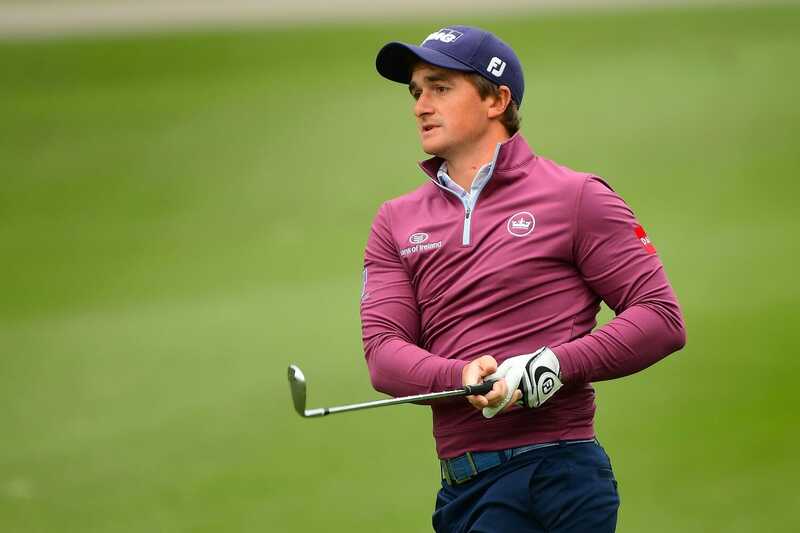 After day one Dunne is sitting in T21 place on two under par, just three shots off the pace set by home heroes Tommy Fleetwood , Eddie Pepperell and Matt Wallace. While Ireland’s other representatives Padraig Harrington and Shane Lowry are one over and three over respectively. Ryder Cup star and reigning Race to Dubai Champion Tommy Fleetwood carried his imperious recent form into the event, carding a five under par opening round 67 to share the overnight lead and it was an eventful start to the historic event – hosted this week by World Number Two Justin Rose at Walton Heath – as Fleetwood lived up to the billing as one of the headline acts, despite finding himself in a bizarre situation on the 17th as his ball ended up in the cupholder of an on-course buggy. Although Fleetwood – playing alongside Ryder Cup-winning team-mates Francesco Molinari and Thorbjørn Olesen – received a free drop, the 27 year old had to settle for a bogey, but his sixth birdie of the day at the final hole was met with rapturous cheers from the galleries. Wallace’s 67 came courtesy of an eagle, six birdies and three bogeys as the three Englishmen sat one shot clear of the chasing pack which included Frenchman Alexander Levy – who was yet to finish his round as darkness fell and play was suspended overnight. Tournament host Rose lies seven shots back after struggling with illness over the past four days. The Olympic champion opened with a two over par round of 74 which included a run of four consecutive bogeys from his ninth hole, immediately followed by three successive birdies.